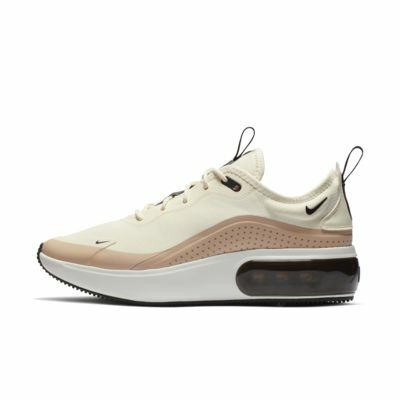 The Nike Air Max Dia delivers a lifted look and airy aesthetic in a sleek shape. 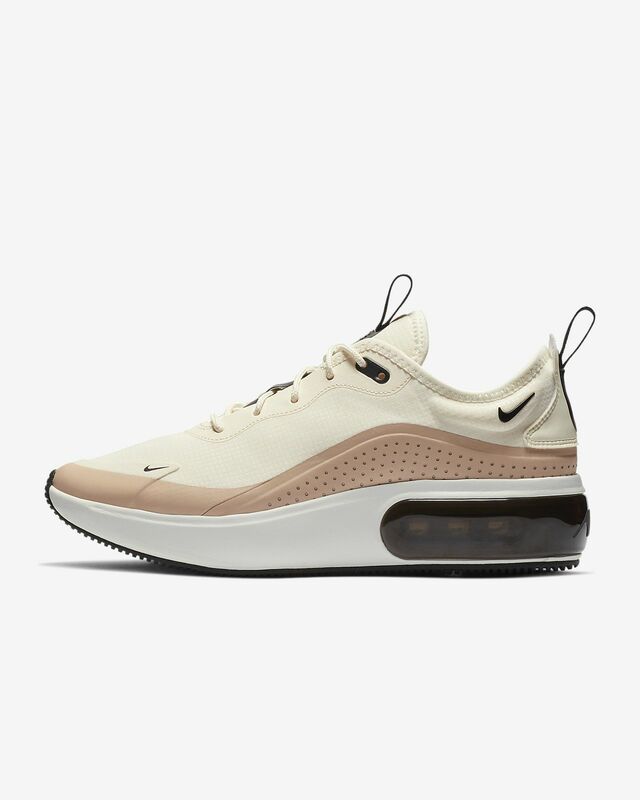 The minimal upper modernizes the look, while a Max Air unit, surrounded by clear TPU, is amplified even further by an exaggerated midsole for a boost of style. THE LIFTED LOOK OF AIR. Synthetic and textile upper gives comfortable support. Rubber around the perimeter of the outsole offers traction and stability. These shoes have so much going for them! They are beyond cute and comfortable until you wear them for a few hours and the tongue of the shoe slides to the side and creates a major friction point with your foot. If the tongue would stay in place the shoes would be perfect! PERFECT SNEAKER IN ALL WAYS ESPECIALLY FOR HEEL OR KNEE ISSUES! I have been suffering with severe plantar fasciitis for almost a year. I have been through every sneaker known to man and every brand. I found that when you buy specific sneakers for plantar fasciitis issues they are not stylish and they look awful. And half the time they don't even feel good after wearing them. This changed with my mosr recent Nike Dia's. I got these yesterday and wore them out of the box all day long. Miraculous! The style and comfort are amazing. I normally wear a 9 but ordered a 9 and a 1/2 in case I have to put anorthodontic in but they probably fit true to size. Nice and roomy toe Box very comfortable and lightweight. I think Cinderella finally found her sneaker! Highly recommend! I have purchased many shoes online, all with high hopes for the perfect combination of style, comfort, and fit for my suffering feet. Saw these and thought, This could be It. I beyond thrilled.The Air Max Dia meets all of my requirements. Plus, the color is adorable!